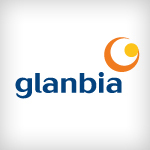 Glanbia plc is an integrated global nutritional solutions and cheese group, headquartered in Ireland and employing over 4,300 employees worldwide. Glanbia has a large portfolio of global brands holding many market leadership positions. In Ireland these brands include Avonmore, Kilmeaden, Premier and Yoplait and internationally Glanbia owns sports and nutritional brands such as ON, BSN, Provon, Optisol and more. Glanbia’s main innovation centre is located in Ireland, with two further innovation and customer collaboration centres in the USA as well as associations with a number of research programmes at third level institutions. Research and development expenditure is focused on value added and customer specific solutions in sectors where Glanbia has significant technical and market knowledge.